I have always taken my own photos which means that I am rarely in them, also the quality isn't as good as a professional. I have never had a family portrait done and had no idea of the cost. All I can go on is the price of school photos but seeing as both my children are grown up that is a bit out of date. 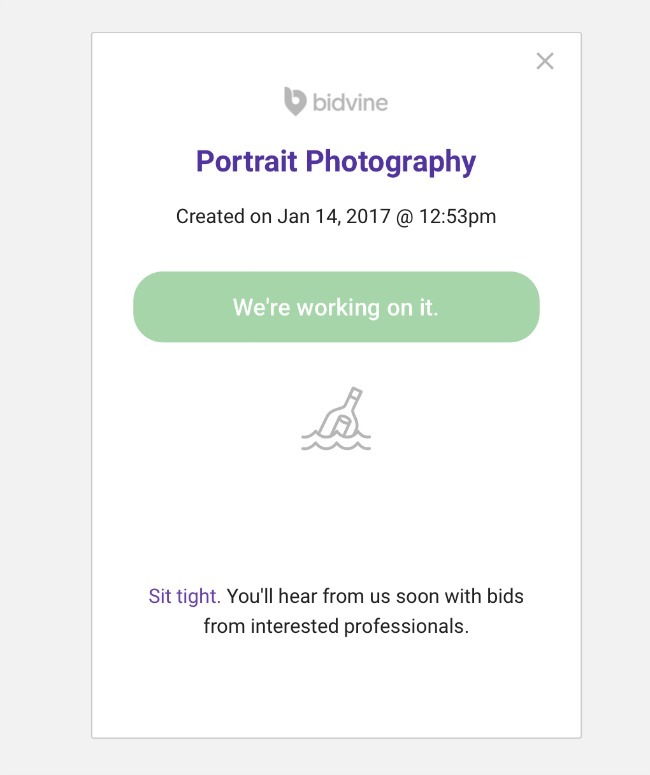 Then I was approached by Bidvine* to try their service which is an easy way to find photographers in your area. Just follow a few simple steps and Hey Presto! quotes come in from local photographers to choose from. 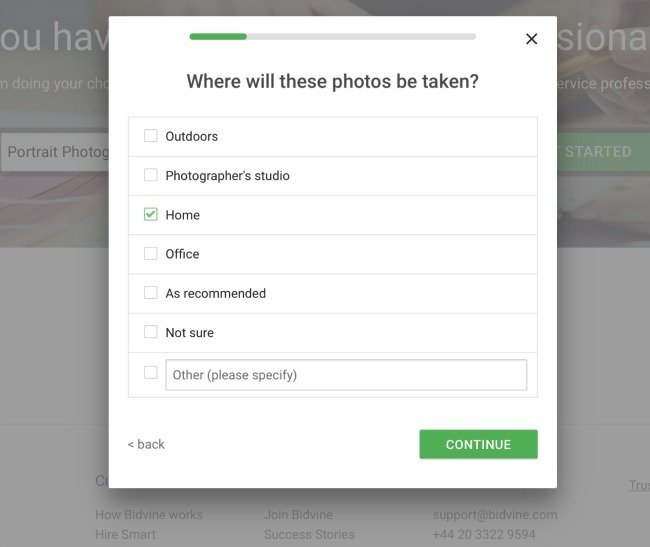 The first thing I noticed when using the site was that Bidvine have more than photographers, they have everything from domestic cleaners to piano lessons. A truly versatile service, but how easy was it to use? This was so easy and only took a few simple steps, just answering a few questions to tailor the professional to you and setting up an account so that they can get back to you. The whole process took minutes. 2. Decide where you'd like the photos taken. 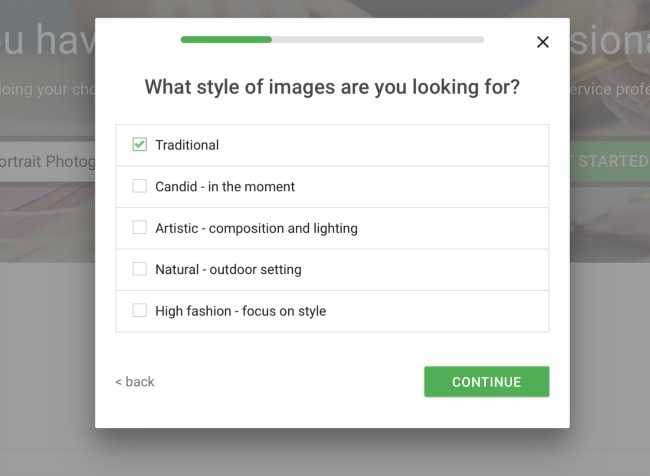 Then click through the questions asking what type of photo, Choose the style from traditional to high fashion. 4. 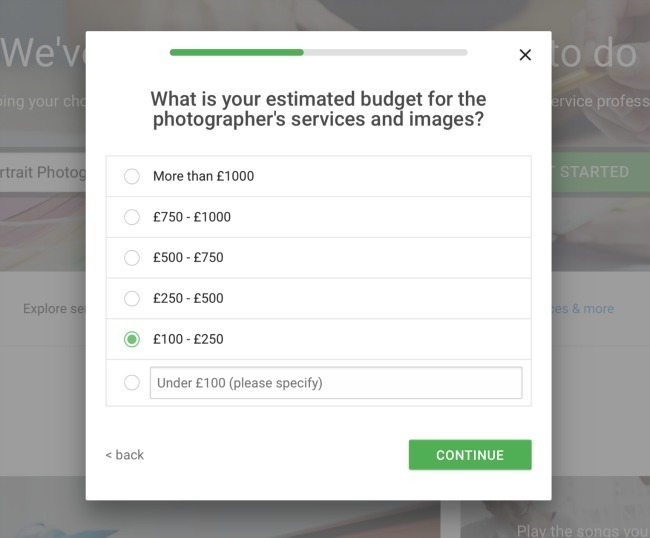 Budget, this stumped me as I have no idea how much a photographer costs. I only want one photo not an album so I am hoping this will be OK. I was glad there was a choice rather than just a box for me to put my budget in. 5. 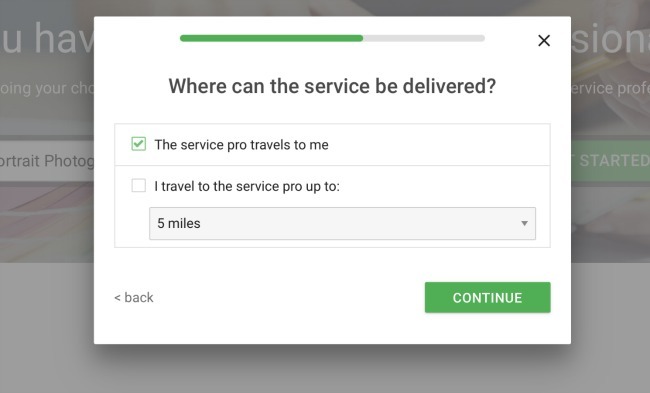 Then choose how far you are willing to travel, this would give you more choice if there were few services in your area for example if you live in a small village. I chose home so ticked the top box. That's it. Straight away I had a screen confirming that my request had gone through and an email stating that there were few photographers in my area that filled my criteria. I am guessing that's because I put the lowest fee and I would get more if my budget was bigger. A minute later I had another email that I would have up to five quotes by Wednesday, three days time. 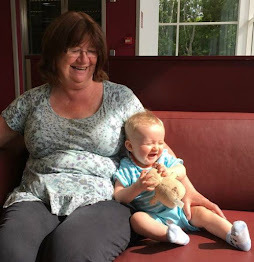 I was kept up to date by email, confirming that they were looking for a professional for me and then on Wednesday, as promised, I received an email from Jeni Meade Photography based in Bath. She was happy to come to me and although my budget wouldn't cover everything, which I had expected, I was over the moon. I wouldn't hesitate to use Bidvine again. 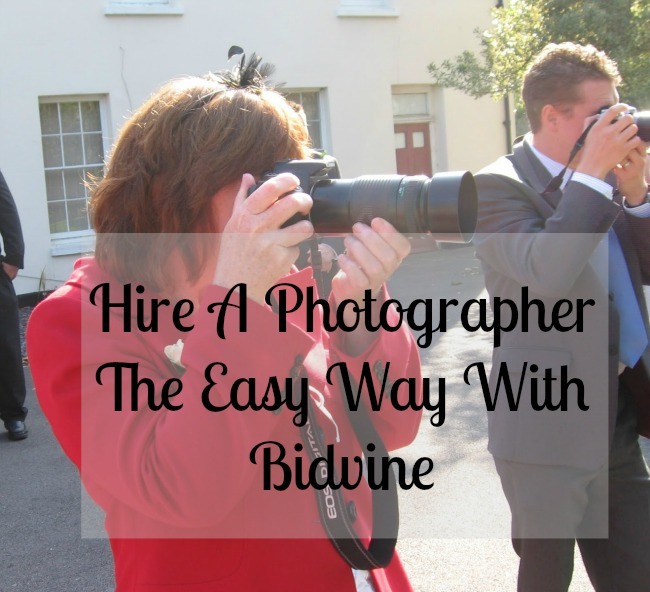 If you are looking for a local professional Bidvine really is the easy way to hire a photographer. This is fantastic! I've never heard of anything like this before. Sounds like a brilliant way to find local people and to get lots of quotes to compare. Would be fab for people looking for wedding photographers for example! Wow this sounds great, saves trawling through lots of people on google! Yes, they do all the work for you. I didn't have a clue and this was so easy. What a fabulous concept. I'd no idea. Glad you managed to get what you wanted. This is a really new-to-me site as I'd never heard of it until the last week or so. It sounds so useful and easy to use. Actually having a little photographer follow you on a holiday or something would be a great idea! Hi Cardigan, I wouldn't know where to start if I had to look for a photographer at least by using Bidvine you must have peace of mind that the photographers are reputable. This sounds like a great way to find exactly the person you need. I haven't heard of bidvine before but I'll try and remember it in future!